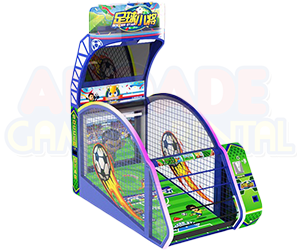 There are many different benefits to arcade game rentals. Many folks need something to release their negative energy from the stress of their everyday life. These kinds of activities usually are beneficial for peoples who need a way to get out their frustration with the problems that they are having in the world. 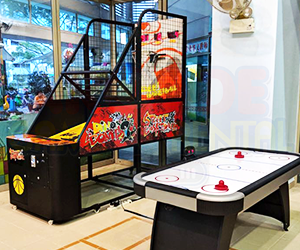 There are many different types of games that everyone can choose in order to have a good time. Many people enjoy sports games because they are more competitive. 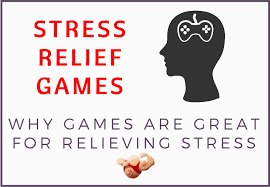 Anyone that likes to play a certain type of game usually likes the game because of the trials associated with it. The replay value of a sports game is very high because people select their favourite teams and try to re-create certain scenarios. 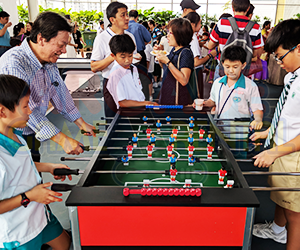 Children also can benefit from playing different types of games. There are many different benefits available from an educational standpoint. 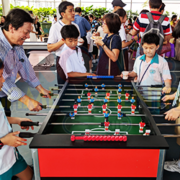 This is beneficial for the entire family because people select to play together as a family unit and create a bonding experience in the process. 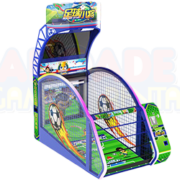 It is clear to see that there are many different benefits to arcade game rentals. Most of these benefits have to do with the people involved not having to pay the whole price in order for a specific title. This advantageous for almost every person that is interested in games. Nearly everybody will find some type of game that they enjoy playing. The release from playing a game is usually quite interesting. The average individual will find something that they enjoy about almost every type of game on the market. Choosing a game is about understanding the personal interest of the individual that will be playing. 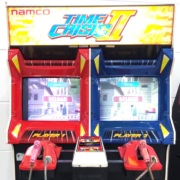 Looking for arcade machine rental? 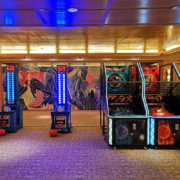 If you feel nostalgic and want to get an arcade game machine rental for your place, here are some important tips on what to consider when looking at arcade machines for rent as there is so much you need to think about to get a quality machine. 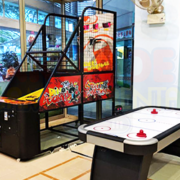 House Party Festive Celebration Arcade Game Rental – What we do?